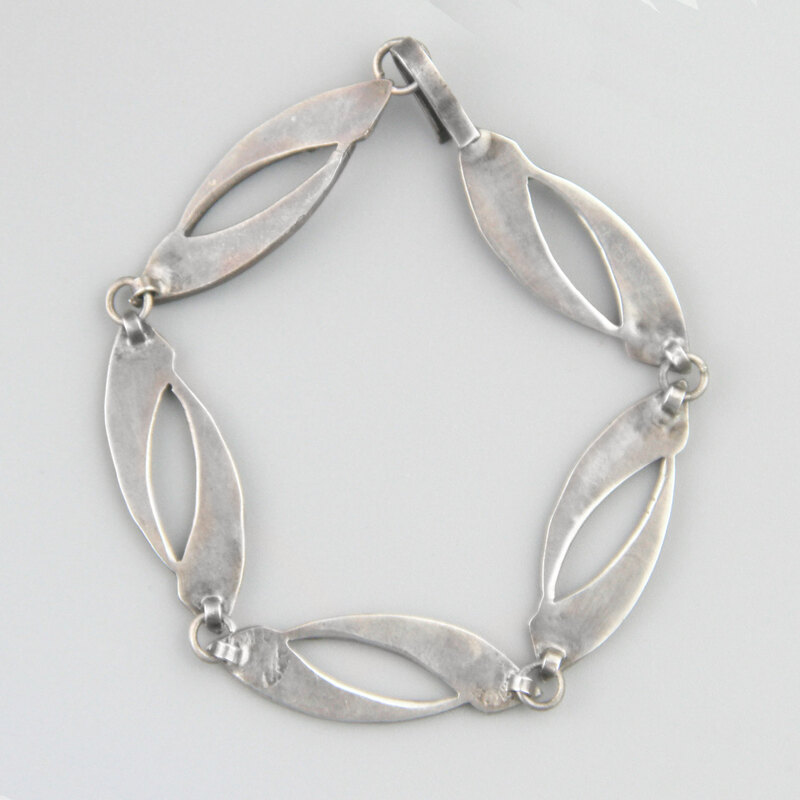 Lovely Mexican sterling silver vintage handcrafted bracelet. 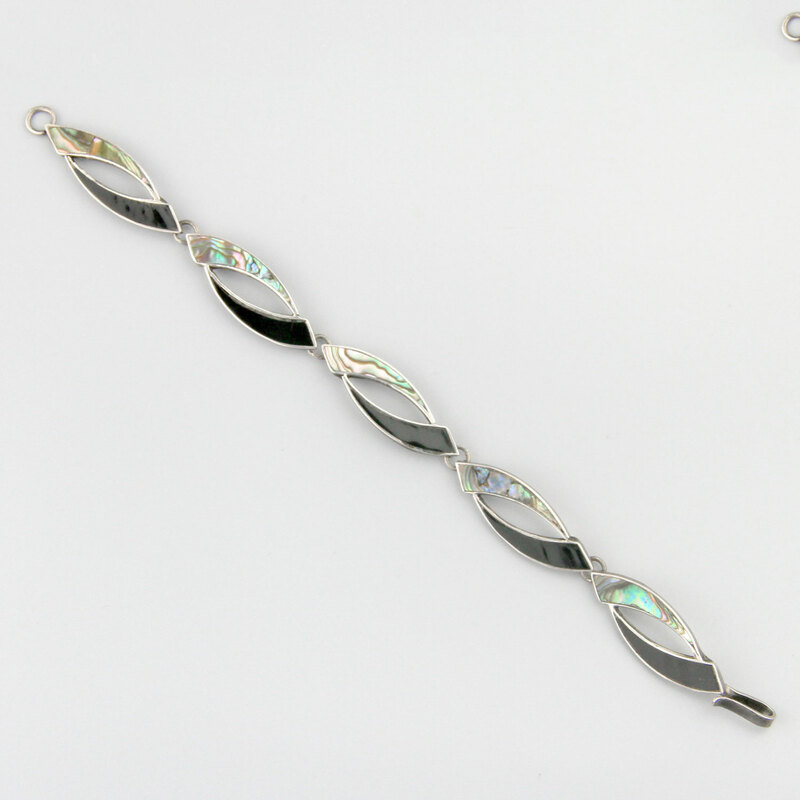 This is a delicate bracelet with two interlocking arcs of onyx and abalone. 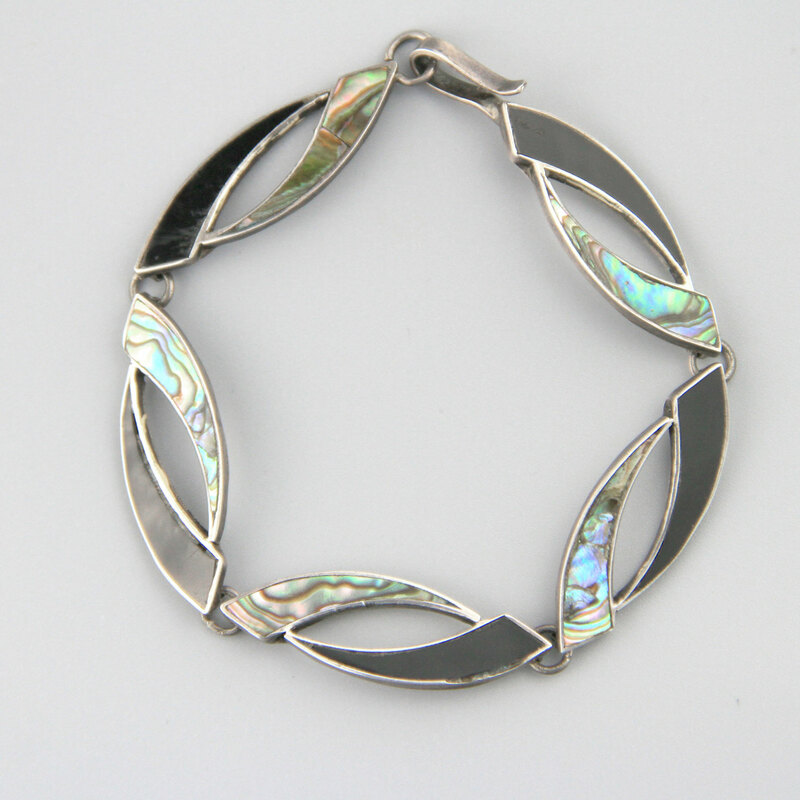 Five elongated links, with a hook clasp. Lovely piece of mid century Mexican silver. Pre eagle, circa 1940's. 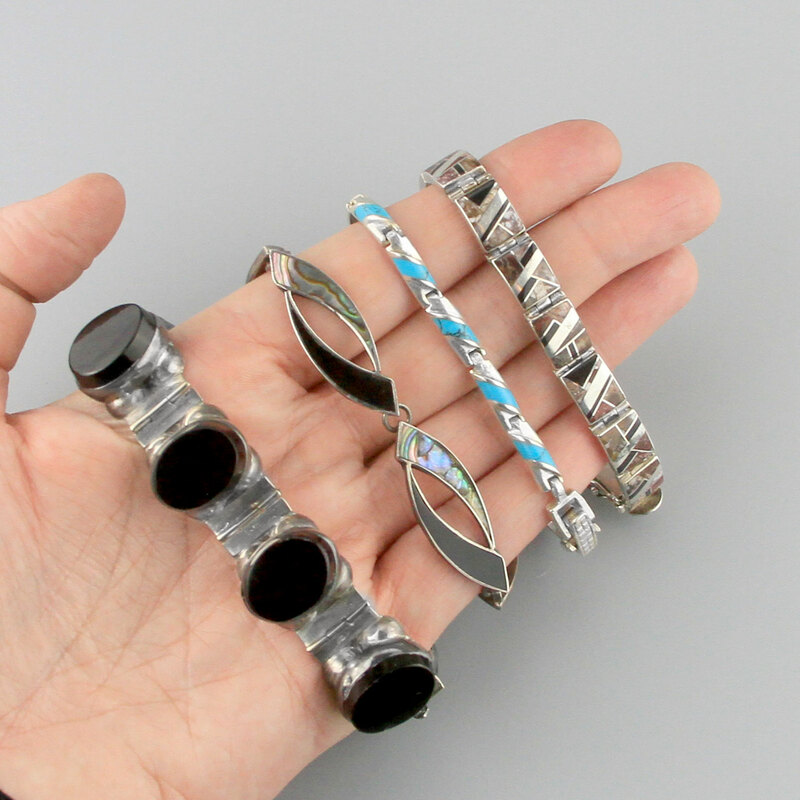 Please note listing is for the single bracelet, last photo to give you an idea of size.